When it comes to crime thrillers, Ruth Rendell probably comes a close second to Agatha Christie as Britain's favourite female crime writer. So it makes sense that after a decade focusing on Christie classics, distinguished producer Bill Kenwright has now turned his attention to adapting work by Rendell to stage. 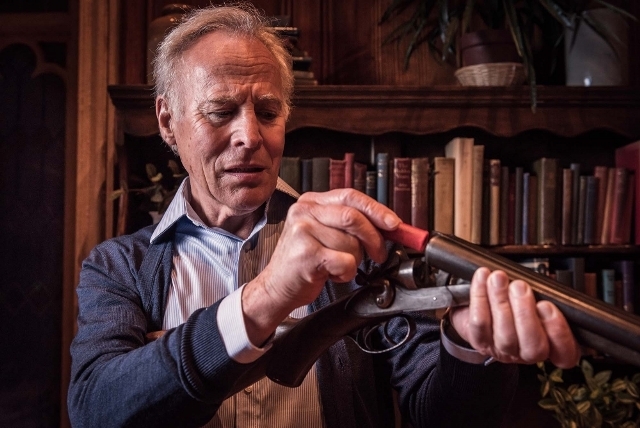 Judgement In Stone is the latest venture by Kenwright's relatively new Classic Thriller Theatre Company, which is a spin-off of the successful Agatha Christie Theatre Company. I caught it at Birmingham's New Alexandra Theatre but it is touring nationwide and back in the Midlands at Wolverhampton Grand Theatre and Coventry's Belgrade Theatre later in the year. It features a roll call of well known TV and pop faces, many of whom have been regulars with the Agatha Christie Theatre Company like former Soldier Soldier actor Ben Nealon playing DS Challoner. There's also the likes of Antony Costa of boy band Blue fame and actor Andrew Lancel, Coronation Street's villainous businessman Frank Foster. Adapted to stage by Simon Brett and Antony Lampard, it keeps the essence of Rendell's novels, slowly building up detailed background on all the characters in the plot. The thriller is based around a wealthy family and their awkward housekeeper Eunice in a quiet village full of eccentric characters and grudges. As with most murder mysteries, the crime is set in a lavish manor house where the play opens with the arrival of DS Vetch (Andrew Lancel) and DS Challoner (Ben Nealon) weeks after gruesome murders have been committed. They are piecing everything together in current time but through constant flashbacks, the audience gets to understand why the crime happened and the revelation of who did it. Will you guess who-dunnit in Judgement In Stone? It's a slick production, directed by Roy Marsden, as the current police investigation fits neatly in with the flashbacks. To keep the action moving, past and present characters pass each other on stage between scenes. Yet, despite being based around a horrific Valentine's Day murder, the plot has a fairly gentle pace. It's heavily character driven, but short on twists and red herrings. It is well acted though, but then there is plenty of talent on stage. 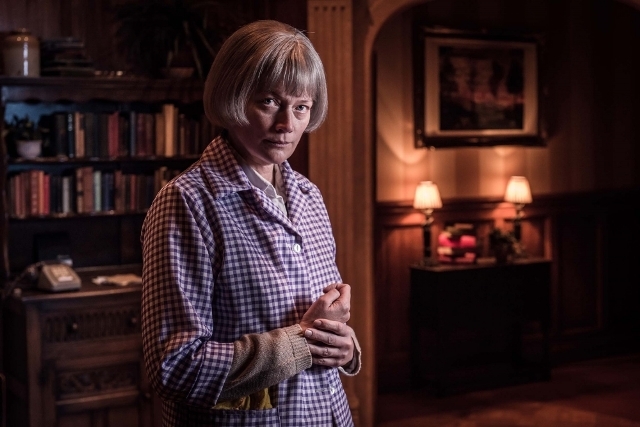 Leading the cast as housekeeper Eunice is Sophie Ward, playing a very different role to those she's been seen in before like Dr Helen Trent in ITV drama Heartbeat. There's even famed movie icon Shirley Anne Field, who starred opposite Sir Laurence Olivier and Steve McQueen in the 1960's, in a small part. She has a natural air about her although her voice is quiet and didn't carry as well as the rest of the cast. 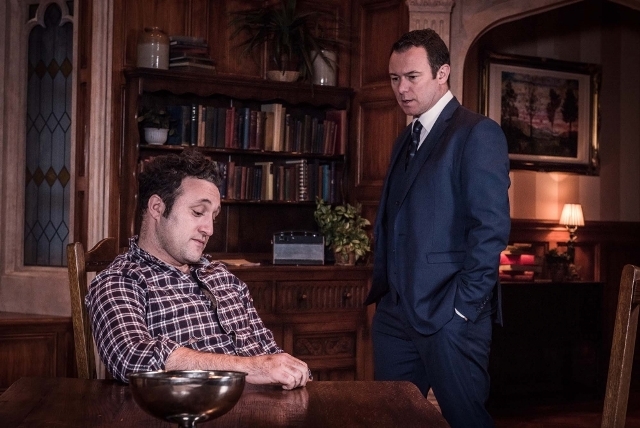 Former pop star turned actor Mark Wynter, responsible for song Venus In Blue Jeans, is debonair as the head of the family and also gets chance to sing a few notes, while younger singer Antony Costa also does a good job in his role as an ex-con gardener. 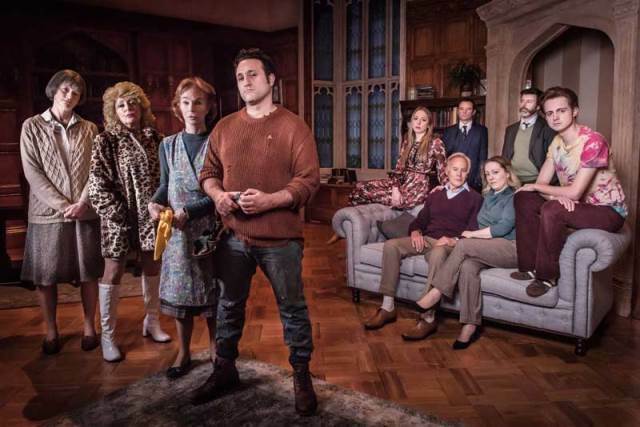 Kenwright created this new theatre company in 2015 after 10 years of success with The Agatha Christie Theatre Company and its first adaptation was of TV film Rehearsal for Murder, which went down well with audiences when it toured last year. That was written by Richard Levinson and William Link, who penned television murder mysteries for Columbo and Murder She Wrote, and was an innovative tale with an unexpected ending. Judgement In Stone doesn't quite pack the same punch as Rehearsal For Murder and although this story is interesting, it maybe is not the most thrilling from Ruth Rendell's extensive back catalogue. That said, it's an enjoyable enough mystery with some fine acting and a chance to exercise the little grey cells. Tickets cost from £16.90 with many available from the ATG Theatre website. 0844 871 3011 or visit the ATG Theatre website.